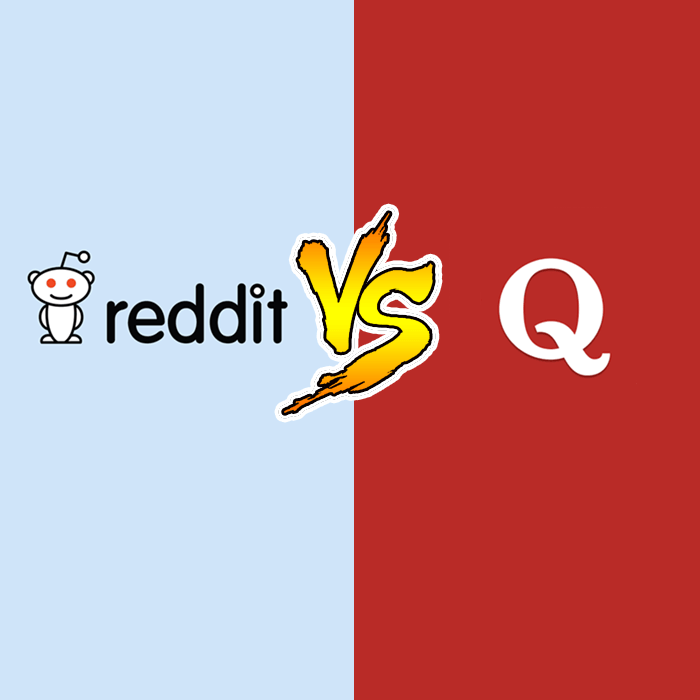 Reddit vs Quora: Which Is Better and Why? Reddit seems to be quite self-sufficient and takes pride about its concept of downvoting and booting and also can easily block those who do not contribute to all being a part of the community. The community is smart and understands the trends and features very well, the ‘ask me anything’ section is what Reddit is known for by the users. This Q&A section is growing so fast, the overall growth of the network is way less than the IAMA section. Apart from that, the site is continuously growing tremendously at a notable pace. Reportedly, approximately 8.000,000 unique visitors have been added on a monthly basis. Whereas, Quora is solely and wholly based on question and answer concept. It’s way formal and professional in terms of the pattern and content posted by the users. The community shares niche content, most of them are professionals and hold deep knowledge about their subject. Now that doesn’t mean it is not expanding itself. Rather it’s been adding new subjects and genres along with the technical fields, which has given more variety to the questions and answers. Although one can navigate answers on Quora still it’s not so easy to find the expert’s opinion as there are so many answers available for the same question. See also: How to Increase Your Reddit Upvotes? All diverse opinions and thoughts are invited on Reddit, any individual and come up with their viewpoint and build a varied community. Reddit community has been supportive of some charitable causes, especially few good people who want to bring some positive change in society. In a way, it is a platform for all those who are looking for a kind of network to dwell their community and accomplish a positive goal. On the other hand, Quora emphases more on professional subjects and entities. Unlike Reddit, Quora is not so popular when it comes to the number of users. Although it has been successfully surging up and multiplying the users since last few months. Plus, some of the answers remain inaccessible for the users in another centralized web service. In spite of all these things, when you want to know something about social media insights or doubts related to say, YouTube revenue, Quora is the best platform to get details about the topic as you won’t find a candid opinion on a blog or website but you might get it in the answer of an expert. If one has to compare the traffic of both platforms, it would be difficult to conclude anything with accuracy. According to the reports, Reddit has around 8,000,000 unique visitors and IAMA section is very much popular. This clearly indicates that Reddit is relatively far ahead of Quora. Quora picked up really fast in its initial phase in 2011, while Reddit’s users grew 10 times faster mostly due to its IAMA section. When a user is looking fro something educative and entertaining, the first choice should be to go with Reddit as it adds up all sorts of mediums like text, images or videos. But Quora is not that liberal in that arena, it represents a professional section of the users, who are more interested in to-the-point information and nothing else. For guiding you about trending topics, Quora won’t be the right option as it has to do with the questions being asked most and the answers and that too when the users are searching for a particular topic. Quora is a specialized network for information on more specific topics, it is not interested in calculating and ranking themes trending issues among the users. They both work with the support of their respective communities but Reddit has a wider and larger audience base, whereas Quora is limited to providing one to one questions and answers. Therefore, to conclude which one is better than the other, you have to get through all these multi-dimensional angles of analysis. As both the services are Q&A centric, it would be difficult to score one over the other on the basis of merit. Any question and answer based service depends mostly on the type of user base it’s getting from. And the flow of growth keeps on changing and fluctuating depending upon the involvement of users it currently holds. On a gradual basis, they can be compared but to give them a permanent ranking one after the other would be unjustified. Instead, the users should evaluate according to their experiences and expectations if any have been left unfulfilled.